The Toronto-area market would be more sensitive to a substantial rise in interest rates than most markets in Canada due to its high prices. “Affordability in the GTA [Greater Toronto Area] has been on a deteriorating trend since 2012 with the pace of deterioration accelerating since 2015,” RBC said. The GTA consists of Toronto and the four regions that surround it: Durham, Halton, Peel, and York. 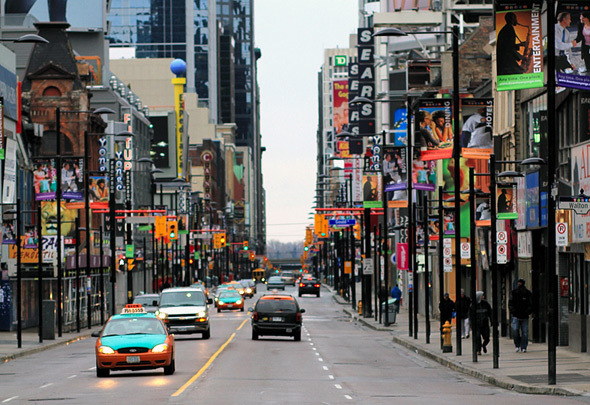 The area generates some 20% of Canada’s GDP and is home to 40% of the country’s business headquarters, said public-private partnership group Greater Toronto Marketing Alliance. The bank described GTA as a seller’s market, as demand-supply conditions “remain very tight.” The area’s affordability challenges could exacerbate further, as current conditions point toward “further acceleration” in price gains in the coming months.